In all three incidents, the accused would order from different restaurants through Zomato but receive the food at secluded places. Three men have been arrested for allegedly robbing pizza delivery boys from southeast Delhi's Sriniwaspuri area, police said Monday. 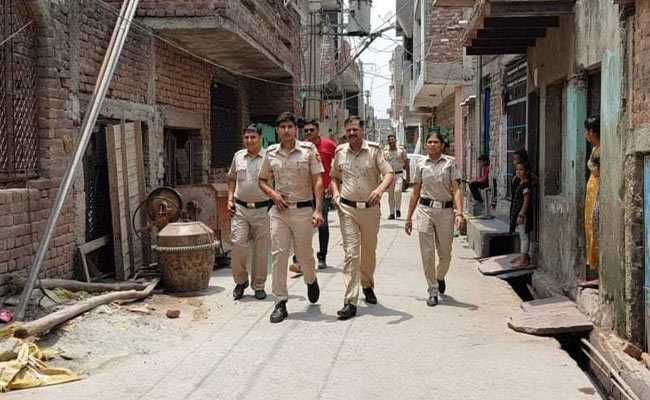 The accused were identified as Karan Mahajan (19), resident of Sriniwashpuri, Deepak alias Deepu (23) and Chirag Sharma (23), residents of Amar Colony, they said. On Saturday and Sunday, three incidents of pizza delivery boys of Zomato, a restaurant search and discovery platform, being robbed were reported from Sriniwaspuri, Deputy Commissioner of Police (southeast) Chinmoy Biswal said. When the delivery boys would reach the spot, they would be threatened with knives and then robbed, the DCP said. During investigation, all victims were examined and on the basis of their description of the accused a search was launched, the DCP said. On Sunday at around 2 pm, police apprehended one Karan Mahajan at Sriniwaspuri area. The accused confessed to the crime, police said, adding that Mahajan told them about the involvement of Deepak and Chirag in the crime. Later, Mahajan's other two associates were apprehended. Both Deepak and Chirag were well versed with the workings of Zomato and so they would place orders through the webiste, Mr Bisawal said. Ten mobile phones, Rs 3,000 in cash, two motorcycles, two ATM swiping machines and a knife were recovered from their possession, he said.